In this world, everyone knows about India’s great heritage and culture. Kings who ruled India used to show their culture and heritage in the form of great architect monuments and structures. That’s why India is a landmark for many historical monuments and wonders. In India totally 36 World Heritage Sites are recognized by UNESCO. These sites are great examples to educate India’s culture and heritage. It’s time to know something more about top UNESCO World Heritage Sites in India. Taj Mahal is a beautiful architectural wonder in India and also one of the seven wonders of the world. Every year it receives 8 million visitors from all over the world. This architect marvel was built by Shah Jahan to his love Mumtaz in between 1631 to 1648. This architectural monument holds a great history, nearly 20,000 people were worked for this and many precious materials are gathered from all over the world. The reasons which made Taj Mahal be apart of UNESCO World Heritage Sites are its immense architectural styles, Quaranic inscriptions, varied arches and domes, precious and semi-precious stones, concave and convex reflection work etc. The major attraction of this architectural marvel is shade changing according to the light from Sunrise to Sunset. Not only architectural styles but its beautiful garden, sacred mosque, and its holy surroundings made this monument to be listed in UNESCO World Heritage Sites. 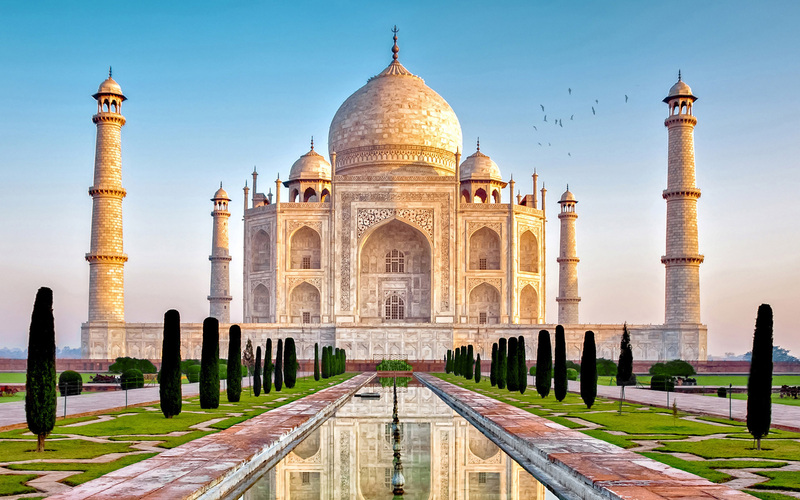 However, Taj Mahal is a great architect symbol in India located in Agra. It will be opened from sunrise to sunset in all days except Friday. Charges are 20 Rs for Indians, 510 Rs for citizens of SAARC and BIMSTEC countries, 750 Rs for Foreigners. Note: At night time will be allowed only two days before and after of Full Moon day from 8:30 PM to 12:30 AM. Charges are 510 Rs for Indians, 750 Rs for Foreigners, and 500 Rs for child below 3 years. You can explore the beauty of Taj Mahal with itineraries of Deccan Odyssey. Indian Odyssey and Indian Sojourn these are the two itineraries with covers the beautiful destination of Agra. Hampi is a place where we can witness the remnants of the great Vijayanagara Kingdom. Hampi was recognized as one of the UNESCO World Heritage Sites because of architectural wonders that are equipped with different historical monuments. Many monuments here speaks about the well-planned civilization of Vijayanagara kingdom. If you observe almost all the monuments are ruined and coming to lost also because these monuments are date back from 14th to 16th centuries. Actually, Hampi was located at the banks of Tungabhadra and the interesting thing is total Vijayanagara empire was guarded by seven lines of fortifications. That’s the brilliance of architects of that time and the main reason of recognizing Hampi as UNESCO site is its architectural brilliance. The main attraction of Hampi is the Vitthala Temple an architectural marvel of Vijayanagara empire. Other famous temples in Hampi are Narasimha, Pattabhirama temple, Ganesa temple, Hazara Ramachandra temple, and Chandrasekhara temple. 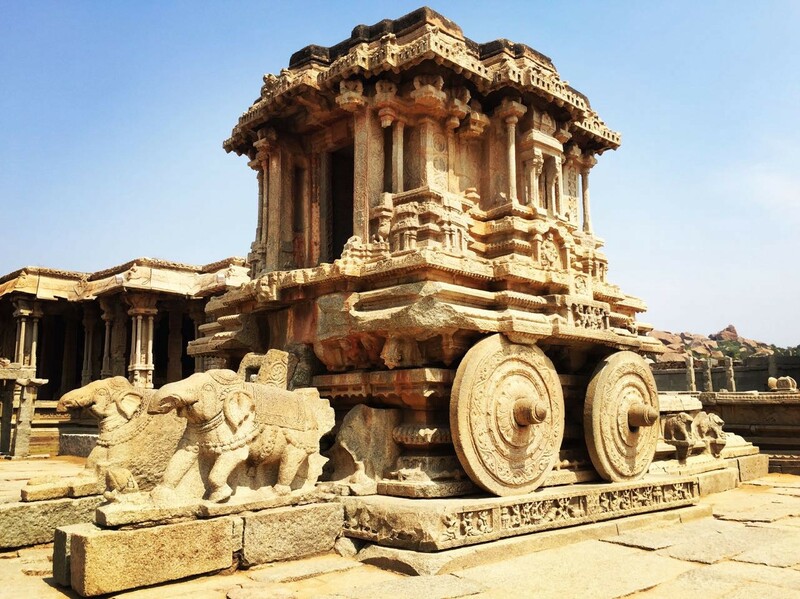 Hampi’s Golden Chariot is another famous architect marvel which gave inspiration for India’s luxurious trains and other famous temple complexes in Hampi are Krishna temple complex, Achyutaraya temple complex, and Lotus Mahal complex etc. These are the group of monuments at Hampi and the remnants of Vijayanagara Kingdom. If anyone wants to experience the rule of Vijayanagara Kingdom you have to visit these historical and ruining monuments. 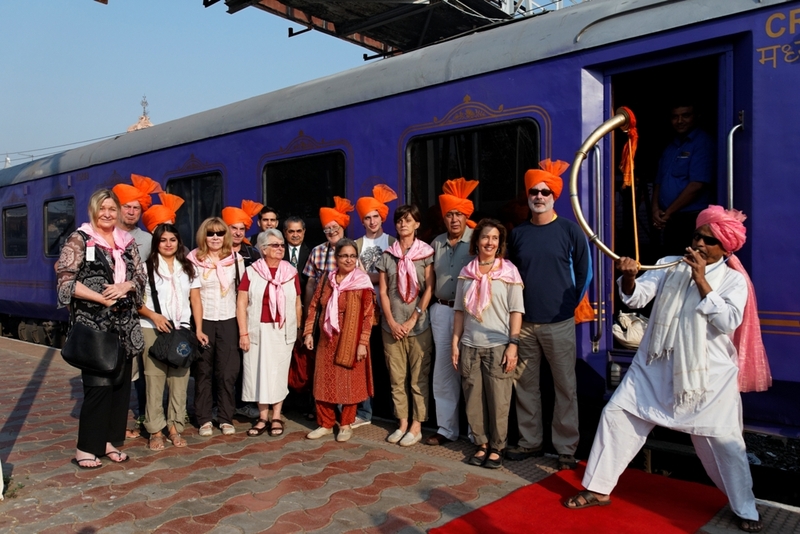 Jewels of the Deccan is the itinerary of Deccan Odyssey trains which takes you Hampi. Sun Temple is a famous temple in Konark which is dedicated to Sun praised as Lord Surya Deva in the 13th century by Narasimha Deva I. 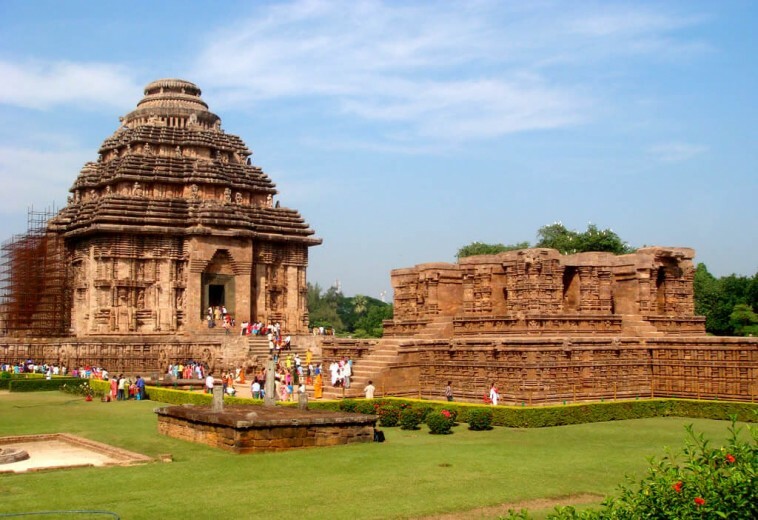 Sun Temple is also one of the most popular tourist sights in Odisha. Sun Temple in Konark was recognized as UNESCO World Heritage Site due to the architectural marvel with different variations and inscriptions. Actually, this temple was built like in a shape of a huge chariot with seven horses drawing it and with 12 pairs of wheels. The temple attracts visitors for its architectural skills and the beautiful stone carvings which depict ancient tales. Almost this temple was ruined but still, some parts are attracting people they are Audience Hall and Dancing Hall. A major attraction of this Sun Temple is when the first ray of the sun strikes the main entrance then you can see the images of giraffes, snakes, elephants, and mythological creatures etc are drawn on the walls. These are the reasons behind Sun Temple to become apart of UNESCO World Heritage Sites. Tourists will be allowed from morning 6 AM to evening 8 PM in all days and the charges are 30 Rs for Indians, 250 Rs for Foreigners and no entry fee for below 15 years. The time required to round up the whole temple is 2 to 3 hours. Khajuraho Temples is a group of temples which are divided into three groups(Western, Eastern, and Southern group temples) and well-known for its exotic sculptures. These group of temples is date back to 11th century. Khajuraho Temples are recognized by UNESCO World Heritage Sites due to the architectural wonders. 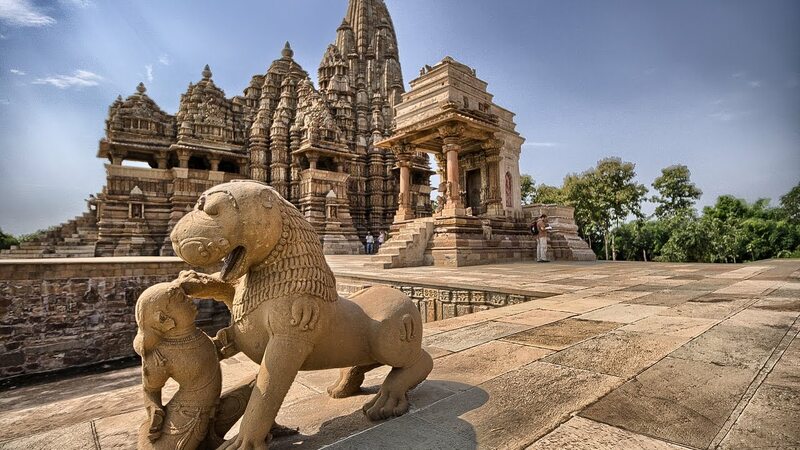 Temples of Khajuraho dedicated to different religions mainly Jainism and Hinduism and the temples are well-known for its finest art in the world. According to olden times, there are 85 temples but there are 20 temples only which are dedicated to different deities. Among them, 6 temples were dedicated to Lord Shiva and his individuals, 3 temples were dedicated to Jain Tirthankaras, 8 temples were dedicated to Lord Vishnu and his avatars. Finally, two temples are dedicated to Sun God and Lord Ganesha. These temples teach about various forms like kinship, meditation, spiritual teachings, wrestling, and royalty. Khajuraho Temples are the best spot for spiritual seekers and archaeology lovers. Famous temples of Khajuraho are Chitragupta temple, Vishwanath temple, Lakshmana temple, Jagadamba temple, Kandariya temple, and Chaunsat Yogini temple. Khajuraho Temple complex will be opened from morning 7 AM to evening 5 PM in all days of the week and the charges are 30 Rs for Indian, 500 Rs for Foreigners, and no entry fee for children below 15 years. Ajanta and Ellora caves are the most visit-able places in India to enjoy the different sculptures, paintings, and frescos of the times of 2nd century of BC and the 6th century AD. Ajanta and Ellora caves are recognized by UNESCO World Heritage Sites to secure the precious arts of olden times. 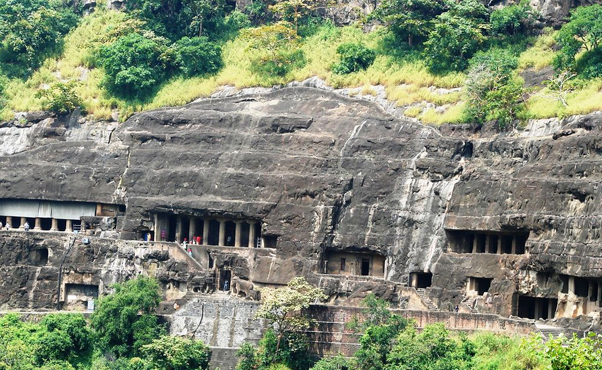 Ajanta caves were a group of 30 caves which are dated back of 2nd century BC. Each cave is special for different arts, paintings, murals, ceilings, and temples. A major attraction of Ajanta caves is paintings because these paintings are made of true natural colors by using minerals and plants. In Ajanta caves, 1,2,4, and 17 are popular to visit. Ajanta caves are dedicated to Buddhist development so you can experience the touch of Buddhism in caves. Ellora caves are located in Aurangabad and there are 34 caves which are dedicated to Buddhism, Jainism, and Hindu. These Ellora caves are dated back of 6th to 11th centuries and major attractions of these Ellora caves are the Buddhist caves (Caves 1 to 12), Hindu caves (Caves 13 to 29), and Jain caves (Caves 30 to 34). Ellora caves are also perfect blend for arts and sculptures. Ajanta caves are opened from 9 AM to 9:30 PM(Closed on Monday) and the entry fee is 10 Rs for Indians and 250 Rs for Foreigners. Ellora caves are opened from Sunrise to Sunset(Closed on Tuesday) and the entry fee is 30 Rs for Indians and 500 Rs for Foreigners. Rajasthan is famous for its royal and lavish forts all over the world. On the basis of architectural styles and bravery of Rajput rulers, Hill Forts of Rajasthan are recognized by UNESCO World Heritage Site. Totally there are six forts of Rajasthan which were built by the great Rajput rulers in between of 18th and 19th centuries. These are forts are perfect examples of great architectural skills and cultural traditions. The six forts are Amber Fort, Chittorgarh, Jaisalmer, Gangron, Kumbhalgarh, and Ranthambore forts. All these six forts are laid on rocky terrains of the Aravali mountains. All these six forts are ideal for unique architectural styles, artworks, marvelous interior works etc. Even today, water harvesting pools in these forts build by the Rajput rulers are still in use. By this, we can understand the greatness of architectural skills of the times of Rajputs. Hills Forts of Rajasthan are ideal for tourists to experience the grandeur and royal lifestyle of Rajputs and royal kingdom. These magnificent forts are the pride of Rajput Kingdom and Rajasthan. If you observe, we can not see as many forts in Rajasthan anywhere in India and the world also. 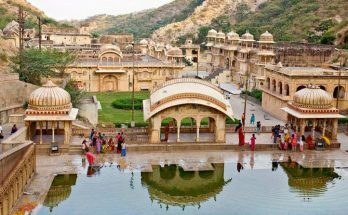 Indian Odyssey and Indian Sojourn are the journeys which takes you the famous cities of Rajasthan such as Jaipur, Jaisalmer, Jodhpur and Udaipur. Finally, these are some of the famous UNESCO World Heritage Sites in India. These are the reasons why all these famous monuments and places are listed in UNESCO World Heritage Sites. 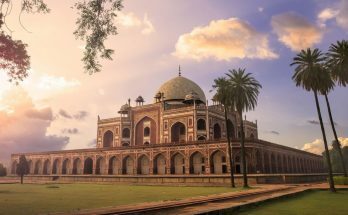 Indian architectural styles and cultural traditions made our historically significant monuments to be honored in all over the world. So, what you are waiting for? 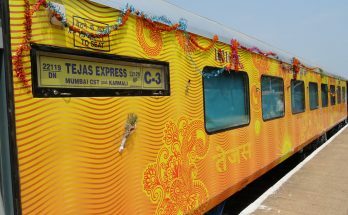 Plan your trip with luxury train and book your tickets now!!! !